MISSISSIPPI RIVER DELTA – The Delta Regional Authority (DRA), in partnership with leading national arts and government organizations, today announced it will invest $309,000 in the Delta’s arts and cultural sectors to stimulate economic and community development efforts across the Mississippi River Delta region and Alabama Black Belt. These investments will enhance the quality of place of Delta communities and improve quality of life for the 10 million people residing in the eight-state region. DRA is providing seed investments for 16 projects, alongside public and private sector partners bringing nearly $1.6 million in total investment to the eight states. Cherokee Village was one of two creative placemaking projects selected in the state of Arkansas. in the state of Arkansas. City of Cherokee Village, AR: DRA Investment: $20,000. Total Investment: $57,000. 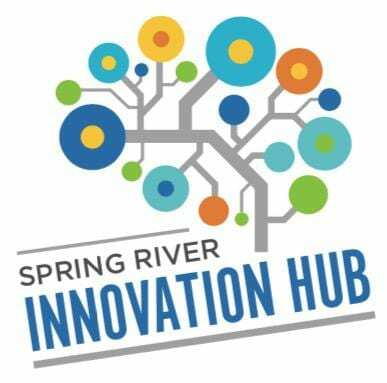 The first phase of the Spring River Innovation Hub will be constructed to include a business incubator and community space as a means to support the arts, entrepreneurialism and community development in partnership with the City of Cherokee Village and the Cherokee Village Historical Society. Other regional partners for the project currently include the Cherokee Village Community Developer, Ozarka College, Highland School District, Spring River Area Chamber of Commerce, Doniphan Vitality and FNBC Bank. FNBC has pledged an additional $12,000 towards the innovation hub’s success to aid in construction, marketing and community outreach efforts. Since February, DRA has partnered with leading national arts and government organizations to ensure the success and long-term sustainability of its creative placemaking initiative by providing Delta communities with access to subject matter experts and additional resources. Partners include: The Rural Policy Research Institute (RUPRI), Art of the Rural, the National Endowment for the Arts, the National Association of Counties (NACo), the National Association of Development Organizations, McClure Engineering Company, Springboard for the Arts, ArtPlace America, the National Assembly of State Arts Agencies, and the Smithsonian Institution, among others.